While not downplaying the devastation of the deadly fertilizer plant explosion in the town of West, the head of the state's emergency management operations told lawmakers on Wednesday that "the system worked." 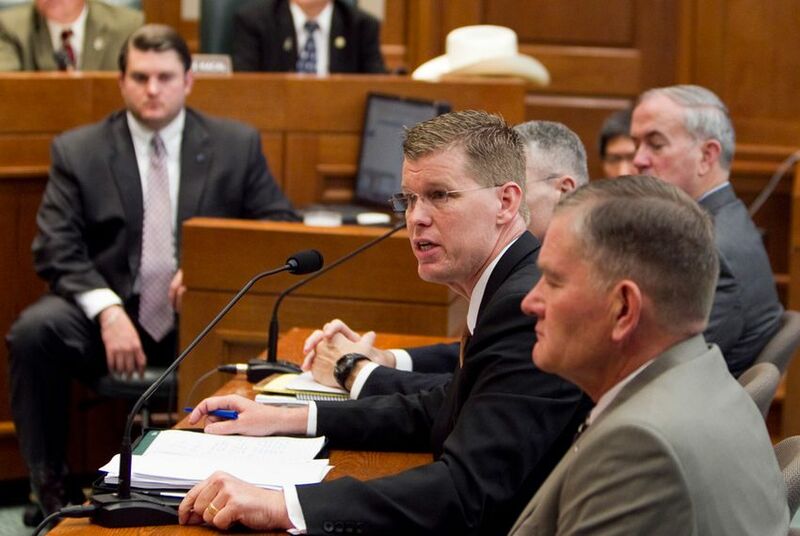 Testifying before the House Committee on Homeland Security and Public Safety, Nim Kidd, the chief of Texas' Division of Emergency Management, told lawmakers that first responders and local officials in the small farming community mobilized quickly to tend to the wounded, organizing a triage area in town that helped to save lives. The April 17 explosion at West Fertilizer Co. killed 15 people, injured hundreds and leveled much of the town. Kidd was among a dozen officials from the agencies charged with regulating chemical facilities who testified at the hearing, which was scheduled to examine the role the state plays in oversight of such plants and response to such tragedies. When asked about compliance with regulations and making inspections mandatory, none of them addressed West Fertilizer Co. specifically, citing the ongoing investigation and deferring to local authorities. Kidd said that the federal Emergency Planning and Community Right-to-Know-Act, which passed in 1986, created local committees to plan for chemical plant emergencies and provide the public information about those facilities. There are 270 such planning communities across Texas, Kidd added, and list can be found on Department of Public Safety’s website. But much of the information collected by various agencies that oversee hazardous chemicals is not for public display. DPS Director Steve McCraw testified that there was no information indicating the West explosion was "either a criminal or terroristic event." But State Fire Marshal Chris Connealy wouldn't go that far. Investigators have not ruled out criminal activity, he said. With 80 agents across 27 agencies combing the 14.9-acre site, he said they intend to have an exact cause of the explosion determined by May 10. He likened the site to an archaeological dig, working from the outside in. Connealy said of the four potential causes — incendiary, accidental, natural and undetermined — investigators have only ruled out a natural cause; something like lightning is not to blame. If in the end agents can only narrow the list to incendiary and accidental, the cause will be ruled "undetermined." Texas State Chemist Tim Herrman heads up the agency that acts a repository for regulatory data on environmental hazards and the agribusiness industry. More than 67,000 facilities or government entities self-report such information to him, from school districts and cities to refineries and fertilizer plants. Of those, 14,000 have extremely hazardous chemicals. Forty-one facilities are similar to West Fertilizer Co. in that they are fertilizer mixing plants that contain more than 10,000 pounds of ammonium nitrate. At the hearing, lawmakers inquired about existing oversight and reporting of chemical facilities, and asked what the procedures are on inspections. But Pickett told reporters after the hearing that there will clearly be heightened scrutiny. “Everything changes from here on out, period,” he said. “I don't think it’s a law that's necessary, it’s an attitude."